Show selected products for every CMS page, and vice-versa. Unlike other modules, you define every relationship just once and it will be used in different places at the website. 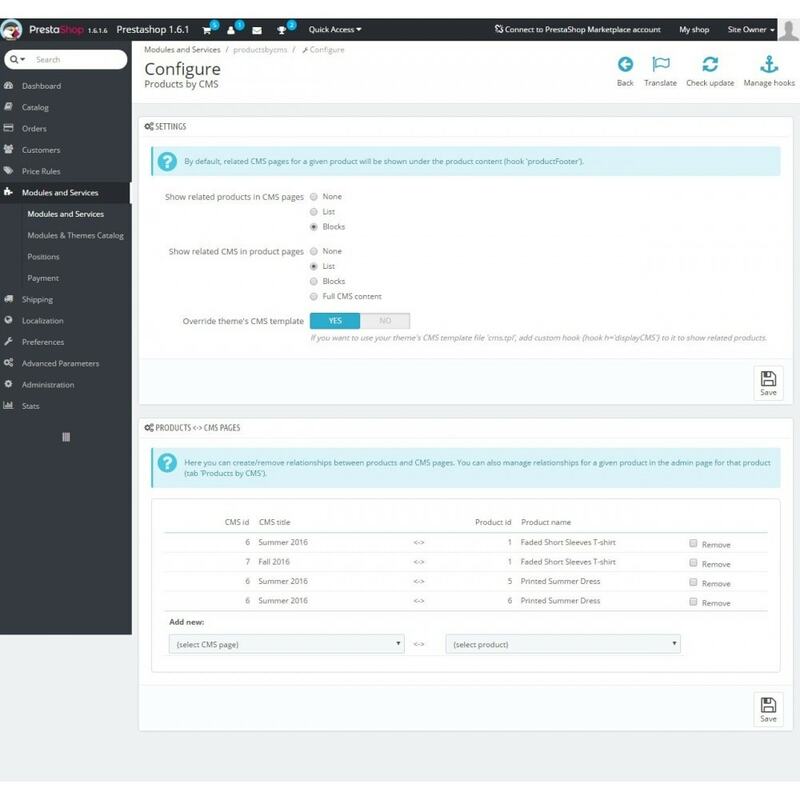 With this module, you can define multiple relationships between CMS pages and products (for example, show products for a given campaign or a blog post), and automatically show the products in the CMS page and/or show the CMS pages in the products. Show related products in CMS pages as list/content blocks. 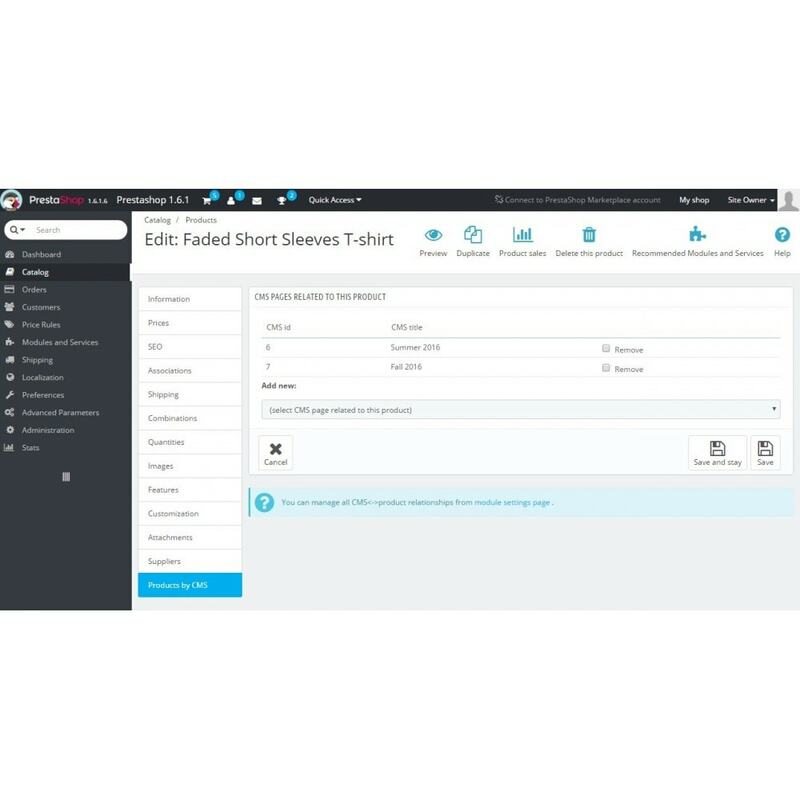 Show related CMS pages in products as list/content blocks/full content. 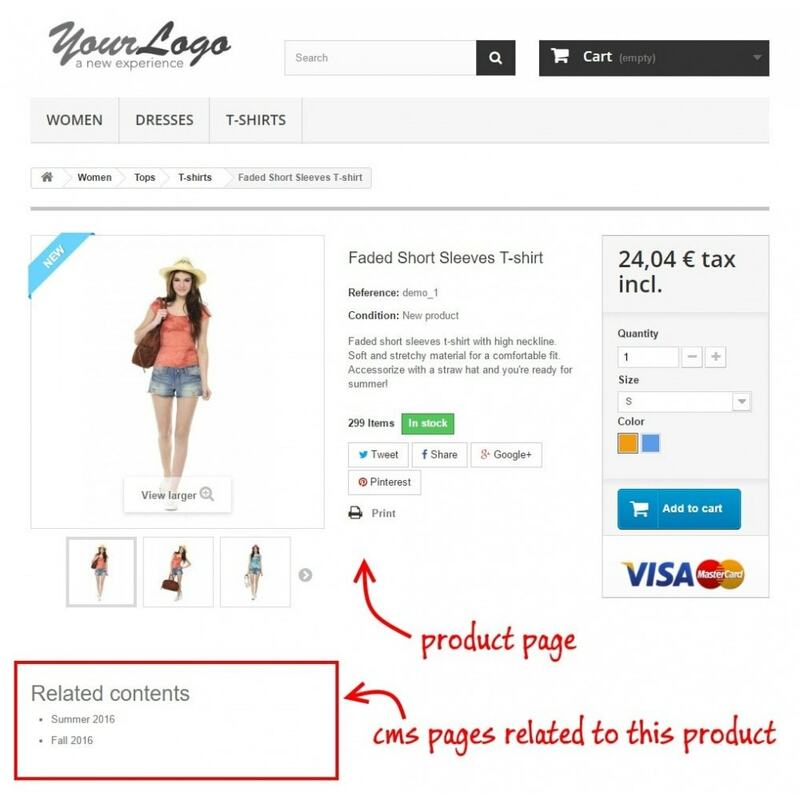 Customers will bee able to see and navigate between product pages and related cms contents very easily. 1. Add/install the module into your shop using the standard PrestaShop procedure. 2.1. Choose how you want to see the related products (none / list / content blocks) and the related CMS pages (none / list / content blocks / full content). 2.2. Choose if you want to override your CMS template with the one provided with this module (recommended=YES). If you don't, you can add a custom hook to your own CMS template (cms.tpl) to show related products. 2.3. 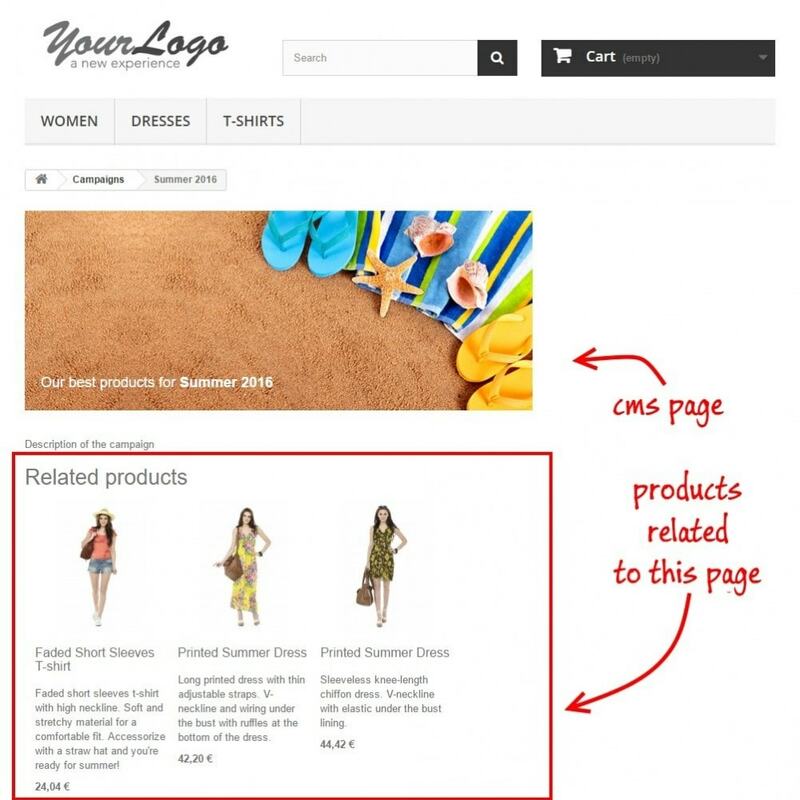 In the bottom panel, start creating relationships between CMS pages and products. 3. You can also manage relatioships for a single product from the admin page for that product (tab 'Products by CMS'). - By default, related CMS pages for a given product will be shown under the product content (hook 'productFooter'). - If you override your CMS template, related products for a given CMS page will be shown under the CMS content (custom hook 'displayCMS').